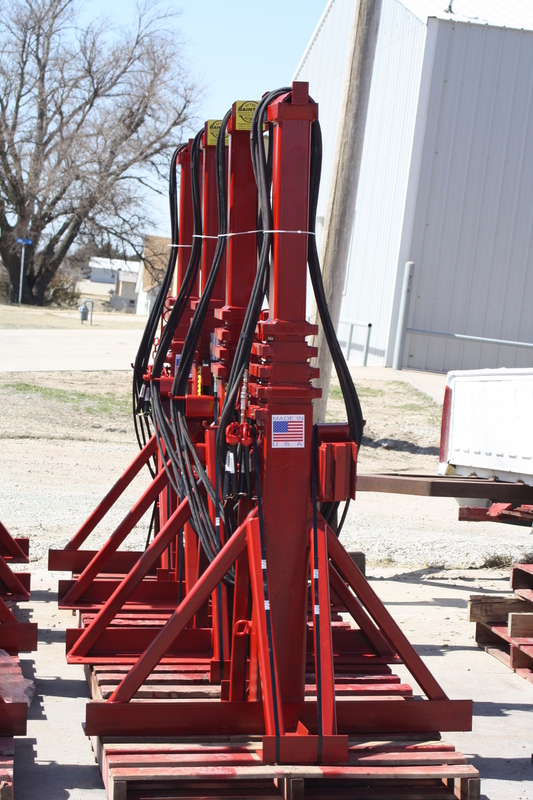 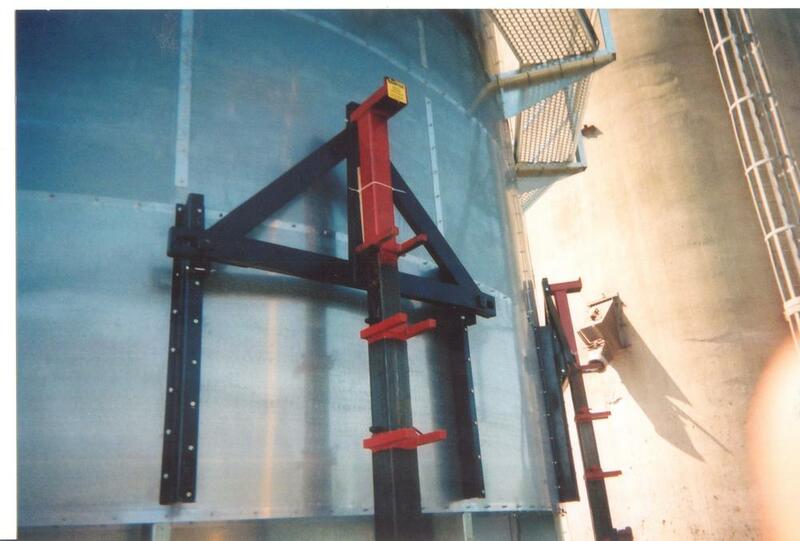 Our combination heavy duty jack can be configured either to lift tower dryers or other large heavy tanks. 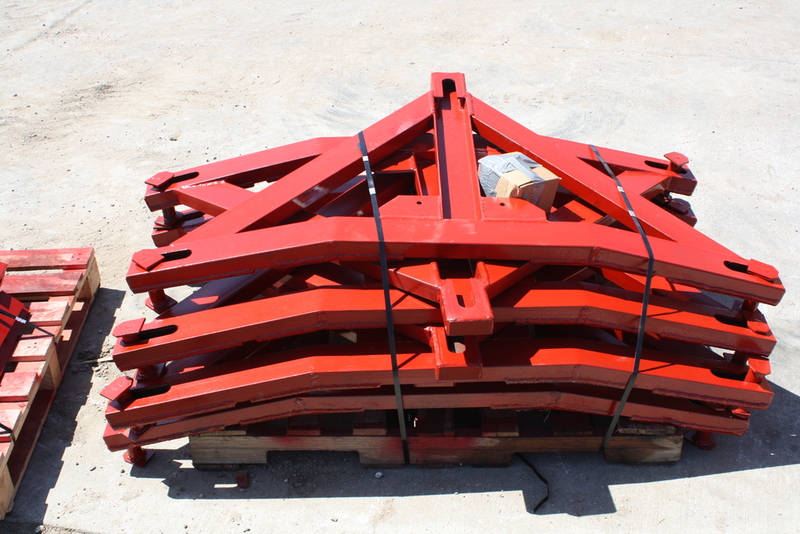 This jack, our largest model. 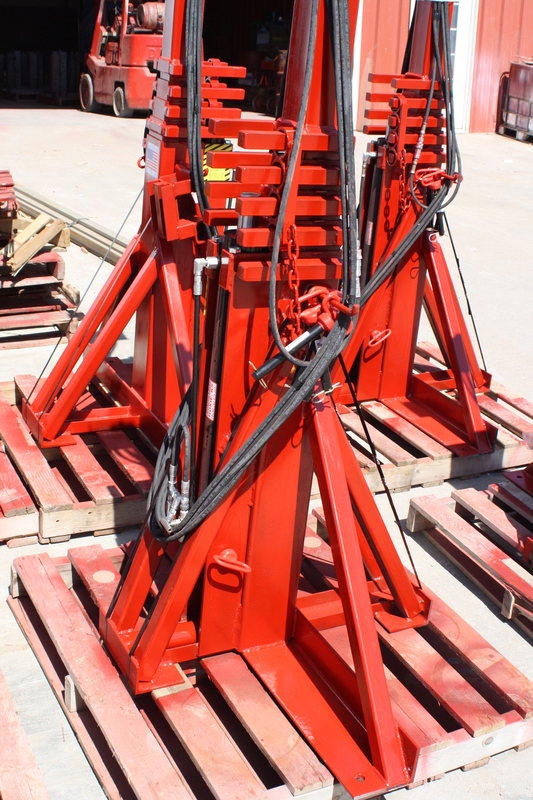 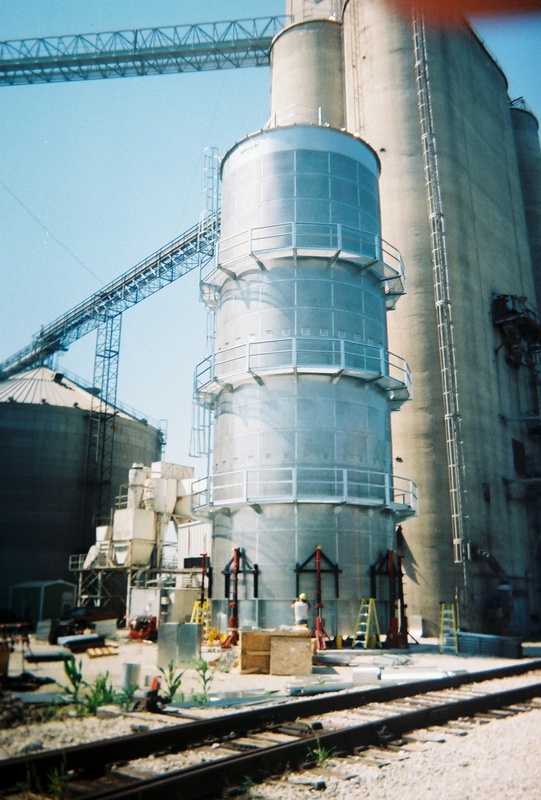 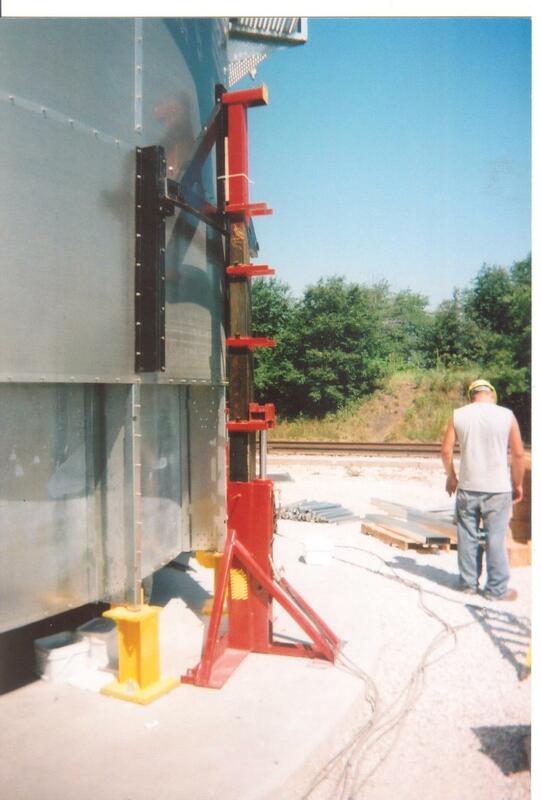 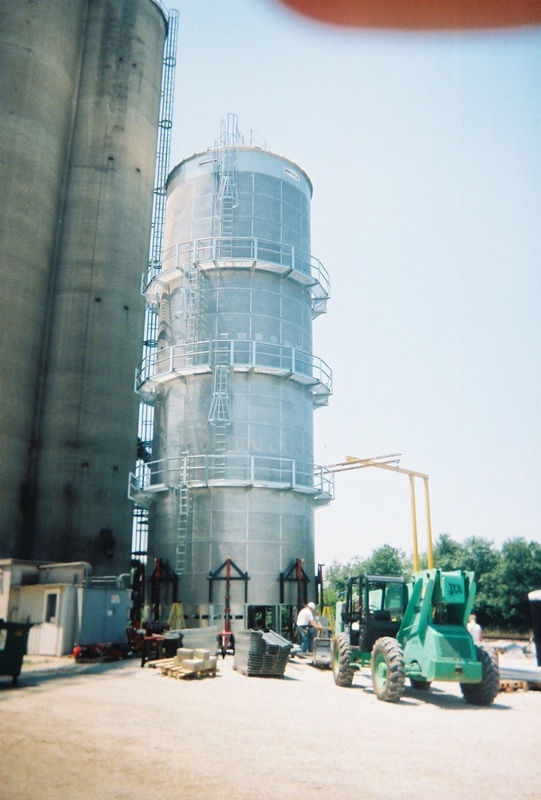 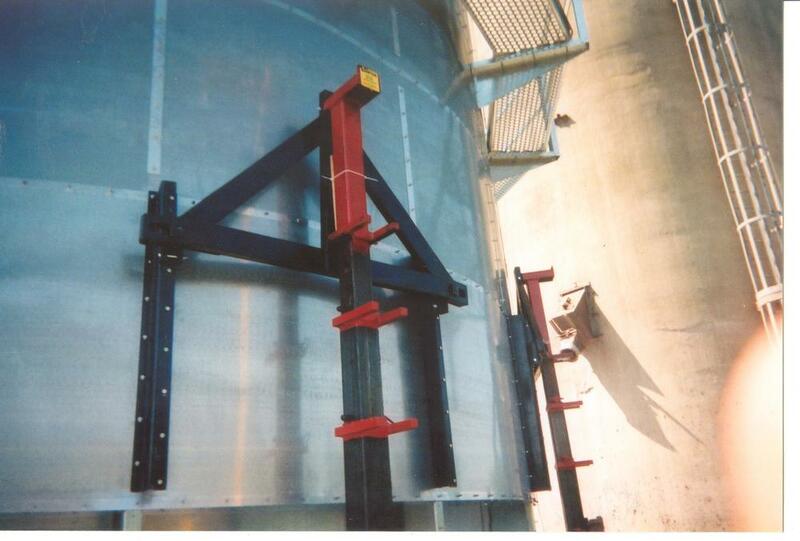 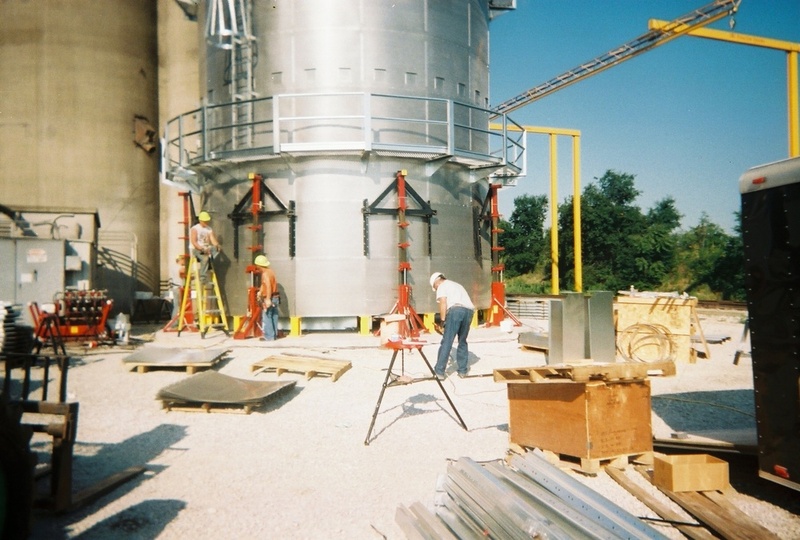 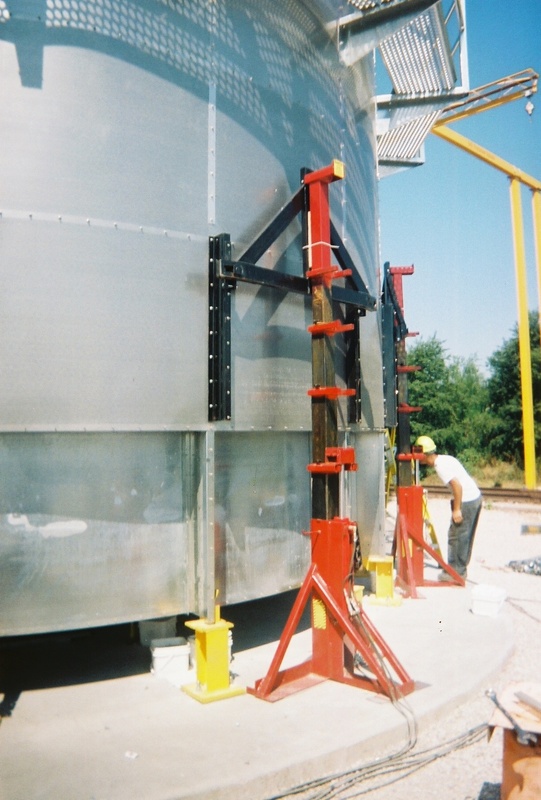 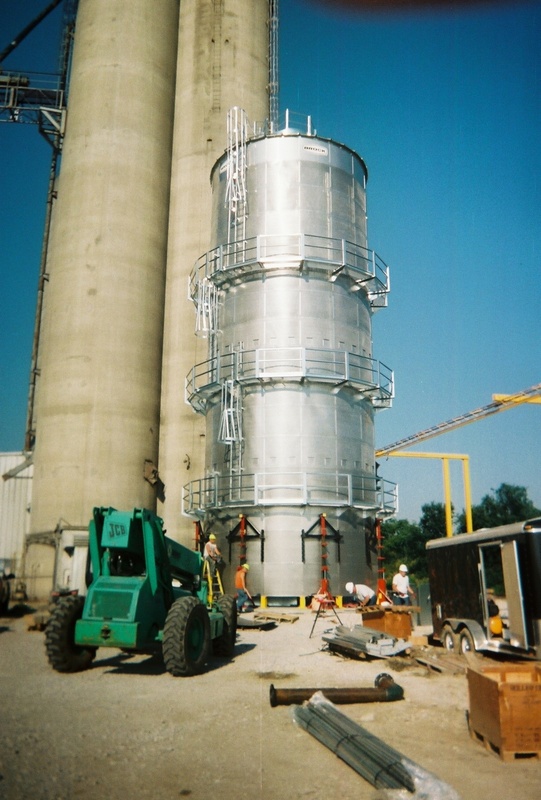 Has an engineer certified safe lifting capacity of 15,000 Lbs per jack. 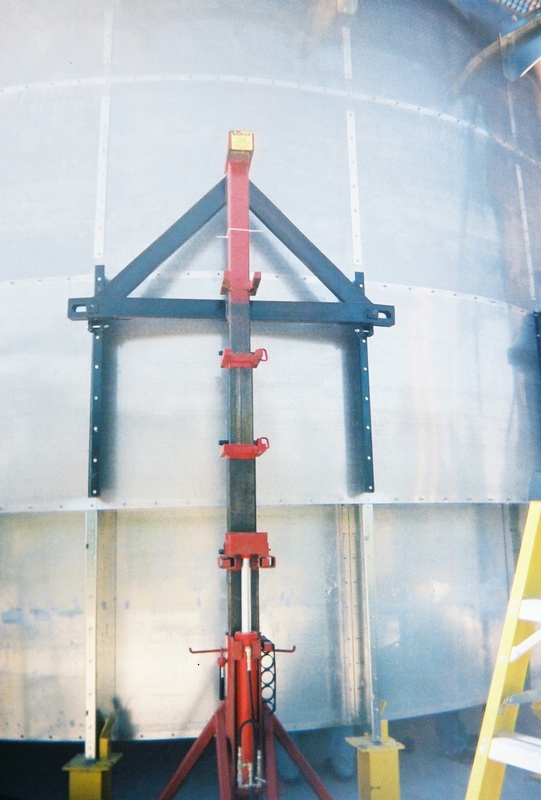 The A-frame bracket is designed to allow the jack to bolt onto two vertical stiffeners at the same time for increased safety and stability.